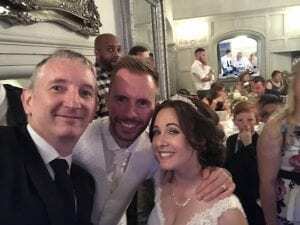 Worcestershire Wedding Magician Owen Strickland – The Fox at Stourton. 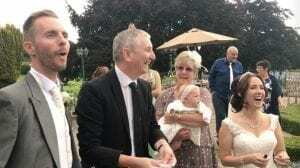 My first wedding today was at the fabulous Fox Inn at Stourton. I had never been to this venue before. I was amazed of how lovely it was. It was a beautiful sunny day,which has been rare this Summer for Weddings! Matthew and Lisa were a brilliant couple. 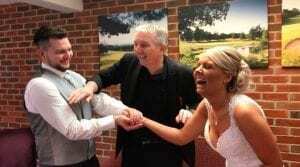 There was just time to do my signature Happy Couple tricks before the breakfast. 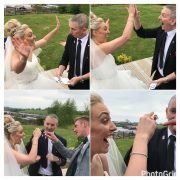 Shropshire Golf Centre Wedding Magic Owen Strickland-a new venue! Jamie and Danielle booked me for the “lull” between the Wedding Breakfast and evening reception. It was yet another glorious sunny day this Bank Holiday Weekend, after a poor month of weather. Children’s magician Andy Kirk entertained the kids and I dealt with the adults.Everyone was a good laugh and of course I still did my Bride and Groom trick. 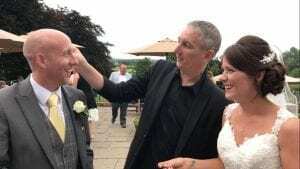 Bank House Hotel Wedding Magic Owen Strickland-at one of Worcesters great Venues. It was my pleasure to be at Natalie and James Harry Potter Theme Wedding today. Firstly it was mix and mingle magic whilst admiring the Harry Potter them of the room and handbags. 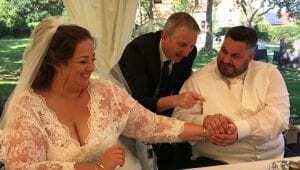 Secondly it was table magic around the Wedding Breakfast. 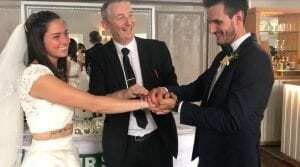 Finally it was my Special Bride and Groom Trick for the Happy Couple. You can see their enjoyment on the photos. The lucky couple are off to my favourite hotel in Krabi Thailand for try Honeymoon which they will love. 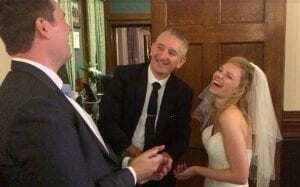 Staffordshire Wedding Magician Owen Strickland Weston Hall Stafford-first visit of two this week. Ive not performed at Weston Hall for some time, but it was lovely to be back there today. 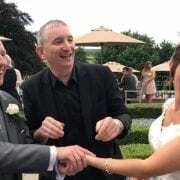 The mother of the Groom booked me as a surprise for Simon and Gemma, as Simon is a magic fan. 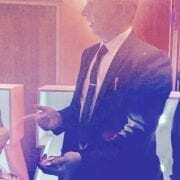 Firstly I did my usual gag of pretending to be a waiter that ends with the notepad turning into a deck of cards. 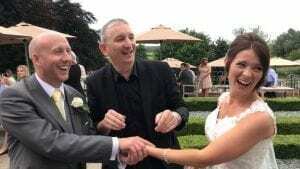 I did my Bride and Groom trick for the happy couple, before doing mix and mingle magic for the guests.As it was a lovely summers evening most of it happened in the stunning gardens of Weston Hall. 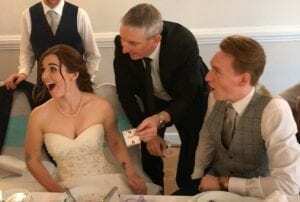 Warwickshire Wedding Magician Owen Strickland The Limes – for Richard And Jenny’s evening reception. It was lovely to be back at the beautiful Limes Country Lodge this evening for Rich and Jenny’s reception. They booked me after seeing me at the Wedding fair there a couple of years ago. The weather just about held off to mean I could do some mix and mingle magic both indoors and outdoors. I am very lucky privileged that The Limes recommend me to their Couples. Its such a lovely venue with both an outside ceremony area and bar.